The kind of laughter director Noah Baumbach evokes in While We're Young is like the low growl in a watchdog's throat: the older and crankier the viewer, the deeper the growl. 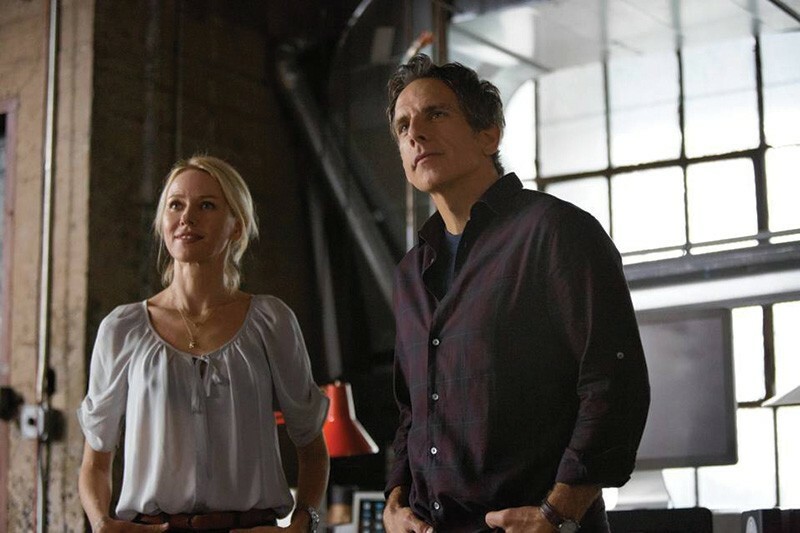 While teaching his sparsely attended continuing-education class, Josh (Ben Stiller) meets a couple half his age. Jamie (Adam Driver of Girls) is an ardent fan who saw Josh's long-out-of-distribution first film; Jamie's wife, Darby (Amanda Seyfried), is the Brooklyn-artisan type. She makes ice cream. The young blood catalyzes Josh's new project, a half-dead documentary he's been laboring over for a decade. Josh's wife, Cornelia (Naomi Watts), makes it a quartet for dates, but the focus is on bromance. The men wear matching stingy-brims and share bike rides. Long before Josh senses it, the viewer smells a Patricia Highsmith-style rat: Jamie is too good to be true. He and his mob start to act like those goddamn kids every middle-ager dreads. The kids feel everything is equally old and neat, and fail to appreciate the difference between vintage quality and vintage crapola. At one point, Josh moans, "When did The Goonies become a good movie?" Baumbach's main interest here may be in exploring the clash of styles in documentary filmmaking. Josh quotes Godard: "Documentary is about someone else, fiction is about me." Is the best approach invisible filmmakers or on-camera guerillas using their cameras for ambushes? The former, classic approach is represented not only by Josh but by his disappointed father-in-law, played by Charles Grodin, who plays a famous figure akin to the late documentarian Albert Maysles. Decades ago, Grodin played low-testosterone males. Age has stiffened him, but in a good way. He's formidable now. But he's part of the reason the elders overbalance this comedy. What makes a fogey is a lack of curiosity, and the skimmed surfaces and cultural stereotypes never give the youthful side of the documentary debate an even break. 'While We're Young' is now playing at Summerfield Cinemas, 551 Summerfield Road, Santa Rosa. 707.522.0719.